And so it begins! In less than 6 months The Hunger Games: Mockingjay, Part 2 will hit cinemas around the world to bring an epic closing to this beloved series. And it is only fitting that promotional materials will start sprinkling our parchedabode of solace and unsatiable wanting or hunger for all things Mockingjay, Part 2. 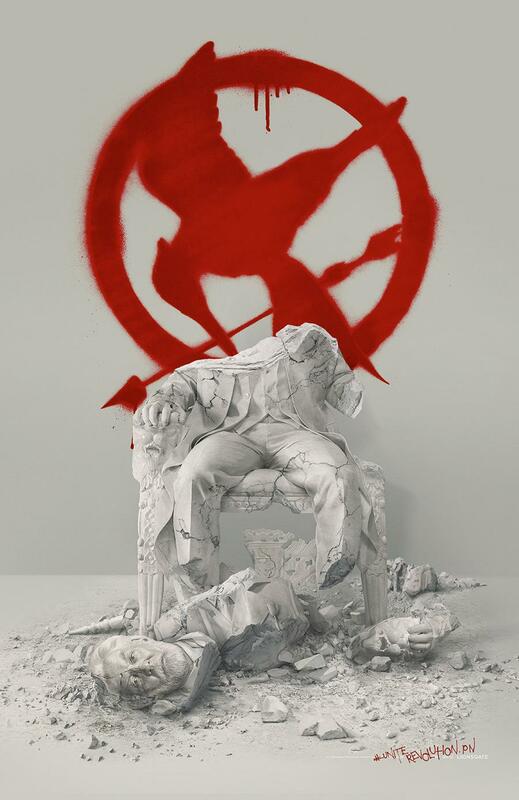 First up we get to see the first promotional poster from said movie, featuring a vandalized effigy of President Snow and the Mockingjay symbol superimposed in the background. The symbolisms in each Hunger Games poster are apparent and this one toretell the future ahead of this enigmatic leader. 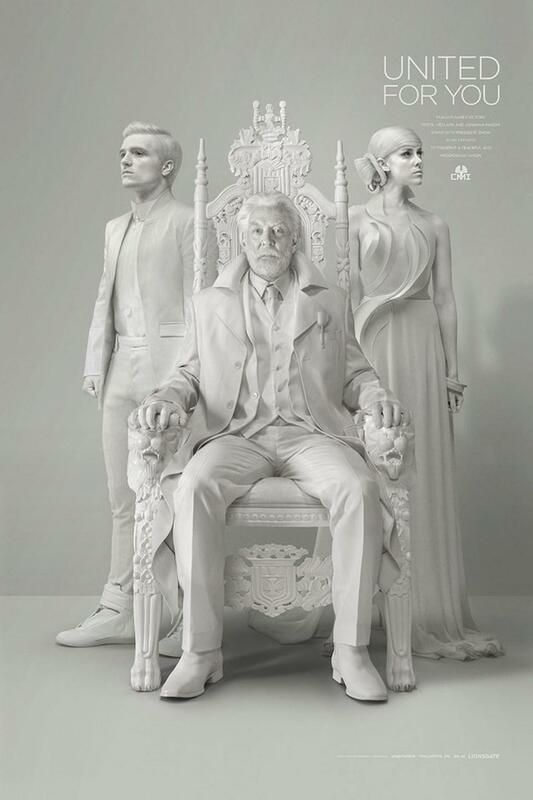 Checkout the new promotional poster of The Hunger Games: Mockingjay, Part 2. Here is the banner version. You will recall that this same poster is a reminiscent of the previous one we had for The Hunger Games: Mockingjay, Part 1, which you may see below. 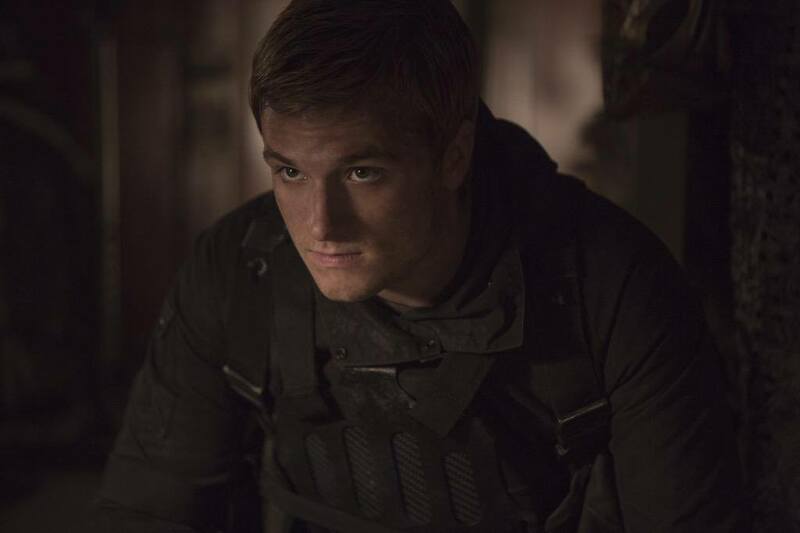 Updated: Here are a few official pictures from the movie. After being symbolized as the "Mockingjay", Katniss Everdeen and District 13 engage in an all-out revolution against the autocratic Capitol. 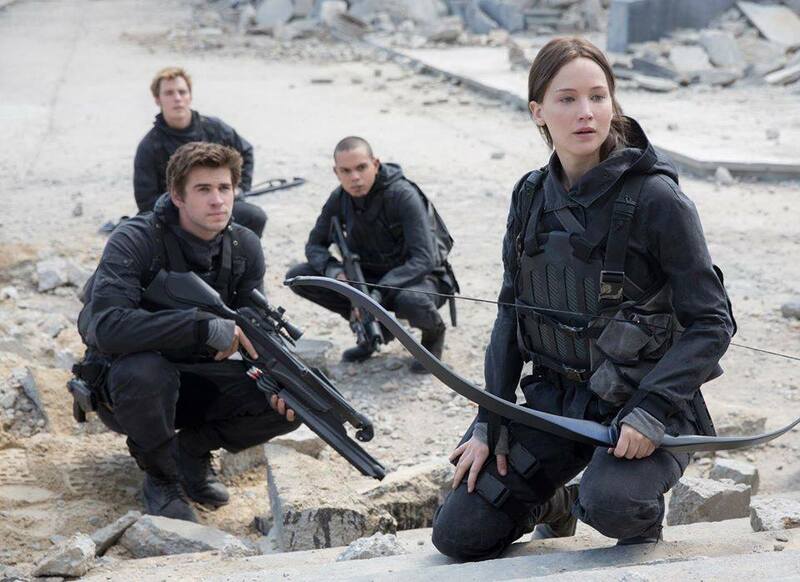 The Hunger Games: Mockingjay, Part 2 will hit cinemas on November 20, 2015.